A teenager survived a stabbing over the weekend and police have nabbed a Belize City resident for the incident. The stabbing incident occurred on Saturday night on Antelope Street in Belize City. 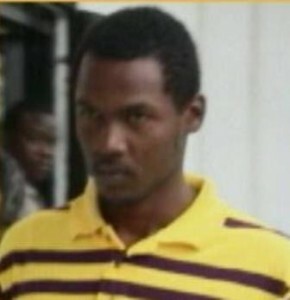 Twenty four year old Karl Reneau, an Electrician of Iguana Street, appeared in court this morning and was slapped with six criminal offenses from Wounding to Attempted Murder of fifteen year old Robert Hower. Reneau, who appeared before Chief Magistrate Anne Marie Smith, was additionally charged with one count of Use of Deadly Means of Harm and Dangerous Harm. But he was also charged with two counts of Aggravated Assault upon Dion Tillett and Jason Alvarez and an additional charge of wounding upon Alvarez. After the proceedings, he was remanded to the Belize Central Prison until April thirtieth, 2013. In a report to police, Hower claims that at about seven-thirty on Saturday night, he was walking on Antelope Street, when he was approached by a man wearing a red shirt and brown pants. The motive for the stabbing is not known nor is the reason why he was charged for wounding in respect of Tillett and Alvarez. I recall when this boy burnt down his own mother’s house. If he’s convicted, lock him up and throw the key away to protect us all! Marion Jones Sporting Complex upgrade to be completed by end of 2013?